Australia illustrates all that can go wrong with bad planning, poor decision making and putting politics ahead of the national interest, writes Geoff Kitney. It is not only its climate and beaches that make Australia the envy of the world. Since the seventies’ oil crisis, Australia has also been envied for its abundant reserves of energy resources. Australia is the world’s largest exporter of natural gas and has the world’s 12th largest natural gas reserves. It has the fourth largest coal reserves and has unlimited potential for renewable energy from sun and wind. With a small population on a vast, resource-rich continent, Australia is a leading supplier of energy to the world. So it comes as an almighty shock to ordinary Australians to discover that, in the coming southern winter, they might not be able to turn on their gas heaters. Just as it came as a shock in the recent summer of record temperatures that Australians were unable to turn on their air conditioners and fans. And when they got their electricity and gas bills, consumers were shocked further by steep increases. More seriously, Australia’s now expensive energy is hitting Australian industry with predictions that energy costs will drive businesses into bankruptcy and damage foreign investment, leading to widespread job losses in an economy with already rising unemployment. The reason? Unfathomably, Australia has an energy supply crisis. So serious is the crisis that the conservative federal government has just announced that it is considering using constitutional powers to take control of elements of the energy generation and supply network. This includes possibly imposing mandatory requirements on private gas producing companies to direct gas supplies to the domestic market, instead of export. The government is even proposing that it might be forced to publicly invest more than A$2 billion to expand the 1950s Snowy Mountains Hydro-electric Scheme to avert a long-term energy supply crisis. How has a country so blessed with energy resources come to this sorry state of affairs? Put simply, it is because of a massive failure of policy and politics. Australia – instead of being the envy of the world for both energy self-reliance and wealth from energy exports – is now a case study in all that can go wrong with bad planning, poor decision making and putting politics ahead of the national interest. For the past two decades, Australian energy policy has been the plaything of politics. In the assumption that Australia could never run short of energy, the chief interest in energy policy has been in political point scoring and ideological games. With little attention being paid to the long-term consequences for secure energy supplies, energy policy has been used for experiments with privatisation, for power struggles between state governments and between states and the national government and for ideological battles over climate change and the development of renewable energy resources. What had initially been seen as a bold plan to create an integrated, privatised, east coast energy market has become a hodge-podge of uncoordinated, extremely expensive and utterly dysfunctional systems – problems exacerbated by precipitate, ad hoc policy changes. At the core of these problems is Australia’s cumbersome federal system which shares key powers between the Commonwealth government based in Canberra and six states and two territory governments each with their own state governments and bureaucracies. There is a great irony in this for Europeans. Australian politicians over the decades have poked fun at Europe and Brussels, seen as a cumbersome and ultimately unworkable system. A recent long-serving prime minister, John Howard, even refused to acknowledge the legitimacy of the European Union (EU), preferring to deal with national governments rather than Brussels. Yet, he presided over an Australian federal system every bit as messy and unmanageable as the EU, without any significant reform to it. The energy crisis in Australia smashed into the national consciousness late last year when the state of South Australia was completely blacked out by a massive storm. The state had moved to a heavy reliance on wind-power, which opponents of renewable energy blamed for the disaster. But it subsequently emerged that a privately owned gas-fired power station in the neighbouring state of Victoria, which should have provided backup power to keep the lights on, refused to do so because of the cost of firing up extra capacity. The incident triggered ugly political recriminations – but also a realisation that there is a looming national shortage of gas for domestic use because the bulk of Australia’s gas production is exported. Suddenly, it dawned on policy makers that so much gas is being exported that the looming winter demand in eastern Australia will be greater than the gas available for domestic use. An emergency meeting of private gas company executives with the Prime Minister, Malcolm Turnbull, resulted in undertakings from two of the biggest – Shell and Origin Energy/ConocoPhillips Australia Pacific – to increase their production to try to avoid blackouts in Sydney, Melbourne, Brisbane and Adelaide – the big east coast cities. Longer term, there is even a suggestion that it might be necessary to build a re-import facility to ship gas back to Australia from Japan to meet domestic needs. But these are stop-gap measures and much bigger questions about the future of Australia’s energy system remain mired in domestic political partisanship over how best to deal with the now urgent challenge of developing a reliable domestic supply system, maintain Australia’s lucrative energy export industries and meet its international responsibilities to deal with climate change. Disagreements about the appropriate balance between reliance on fossil fuels and shifting to renewable sources of energy also remain. 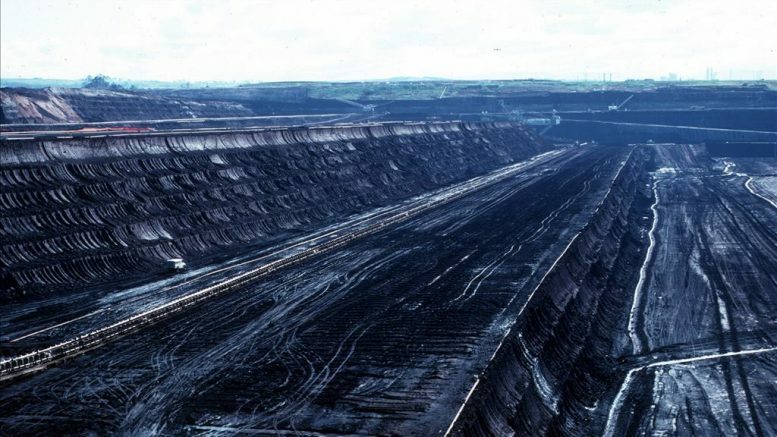 There is a deep divide between Australian conservatives and progressives about how – or even whether – Australia should be making this transition, given the vast resources of fossil fuels yet to be exploited. “It’s an unholy mess and it is going to be extremely difficult to sort it out,” a senior adviser on energy policy told Chief-Exec.com. Meanwhile, tourist traffic from Australia to Europe this European summer might be much greater than usual if the heaters don’t work. Who will lead the world in 2017?